York Regional Transit VIVA — Cumulus Architects Inc.
As the Architect on WSP's Owner’s Engineer team, Cumulus provided peer review for three new VIVA stations - Vaughan Metropolitan Centre, Cornell and Pioneer Village. The team performed technical review of the design through all phases, focusing on site approach, accessibility and code compliance, and meeting VIVA standards. This project is part of a larger Ontario transportation initiative to help manage congestion, support the region’s economy and strengthen connections between communities. 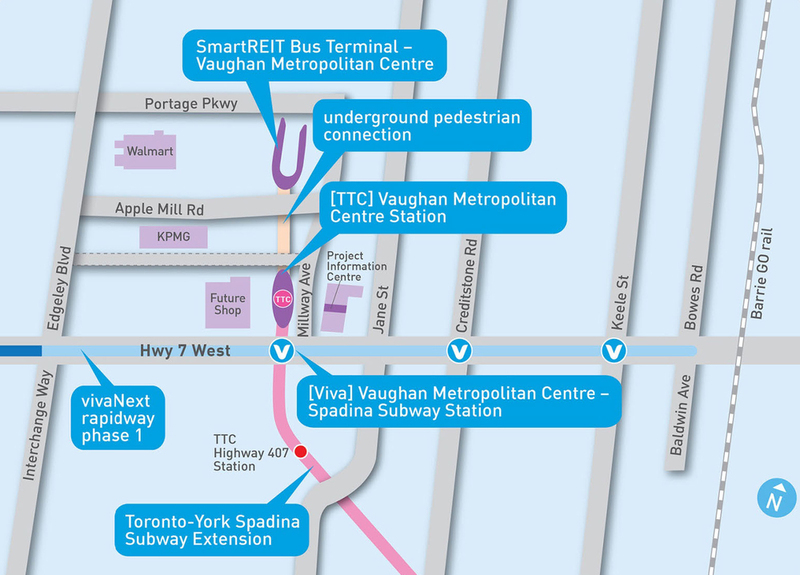 This project plays an important role in expanding the transit network in the Greater Toronto and Hamilton Area and provides benefits for the people of Vaughan and Richmond Hill who need to move within York Region. Images courtesy of York Region Transit.